So you want to know to become an Instagram influencer? Popular Instagram influencers like Huda Kattan are worth millions and have even gone on to launch successful businesses using their audiences. Of course, Huda is only one of the many influencers that have amassed millions of dollars, but how did she go about it exactly? Have a read through this article for a good head start. When you buy a new smartphone, t-shirt or product, did you buy it after you saw it on Amazon? Or did you buy it after it received good reviews from influencers? Research by Olapic found that 49 percent of consumers were more likely to purchase, if the product was endorsed by a real individual. 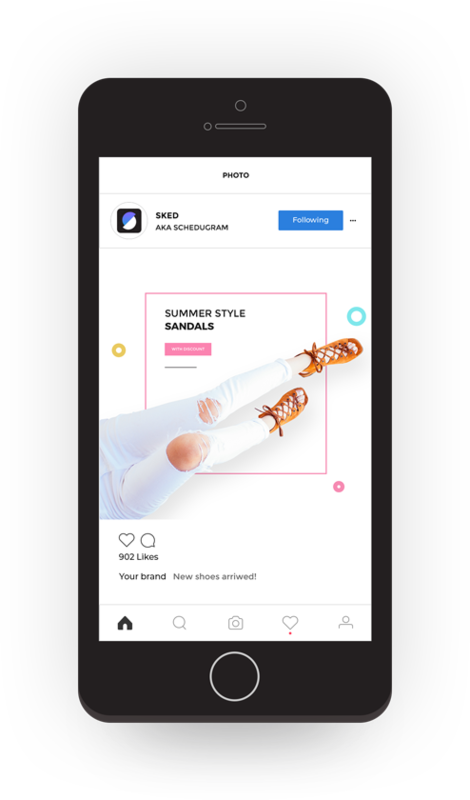 Similarly, Influence Central found that customers ranked Instagram influencers as the sixth most effective at influencing their purchases. The success and lives of many Instagram influencers may have inspired you to become one too! After all, who doesn’t want to be rich, successful and influential? If this is something you’ve been thinking about, then today’s your lucky day. In this article, we’re going to share step-by-step instructions on how you can become an influencer too, and how Sked (formerly Schedugram) can help you do it. The first step in learning how to become an Instagram influencer is choosing a niche. You can’t be popular for everything, so its best to pick one thing you’re good at and knowledgeable in. Do you love making bentos? Do you love posting OOTDs? Or maybe you’re interested in Korean skincare? Once you pick a niche, you’ll have to stick to it. So pick something that reflects your true interest and not a niche you know nothing about. Download our Ebook to learn everything you need to know about leveraging Instagram! 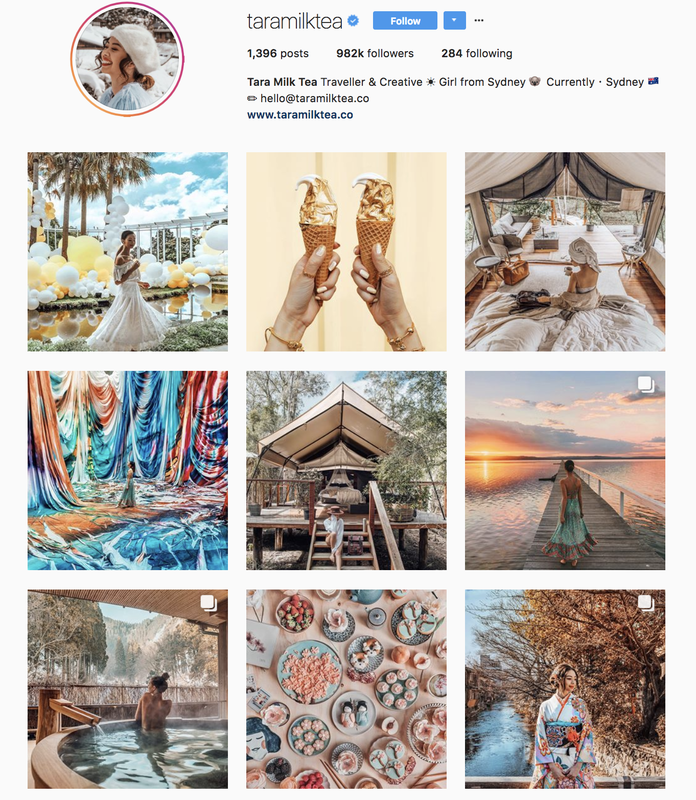 Once you’ve picked your niche and decided to focus full time on Instagram, it would be helpful if you started your own blog in order to further engage your audience and therefore build a stronger brand. Learning how to become an Instagram influencer is great but we don’t advise you to stick to one platform – having a blog is a great way to own your content, diversify your voice and get closer to your Instagram audience. 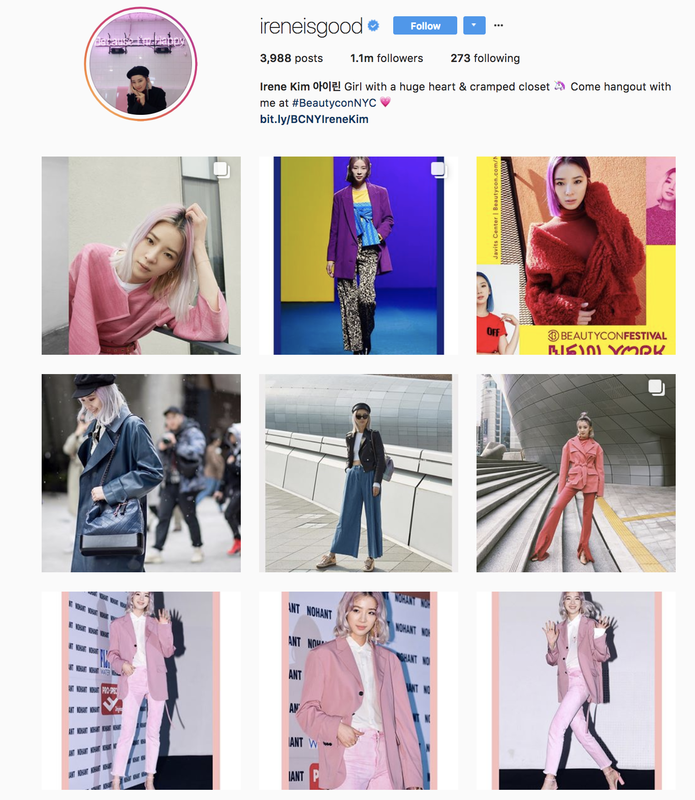 By converting Instagram followers to website visitors and subscribers, you get to reach them directly and offer more diverse content. With Sked, you can easily direct your followers to any URL in the world and track clicks in real time. If you’re not sure where to start, check out Ryan Robinson’s in-depth guide to starting a blog and making it profitable. Step No.2 in learning how to become an Instagram influencer involves getting serious about your analytics. 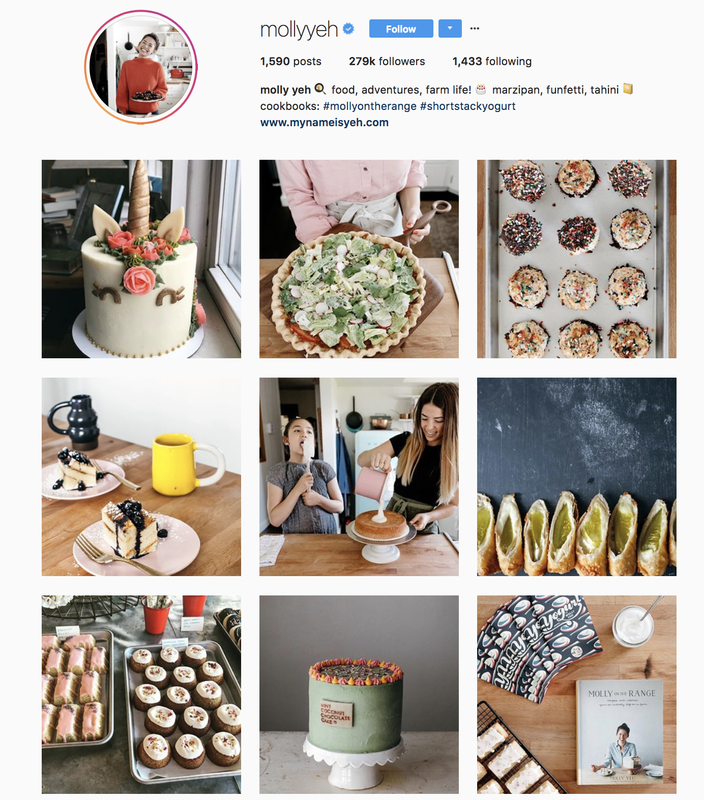 What’s an Instagram business account? And, why do you need it? 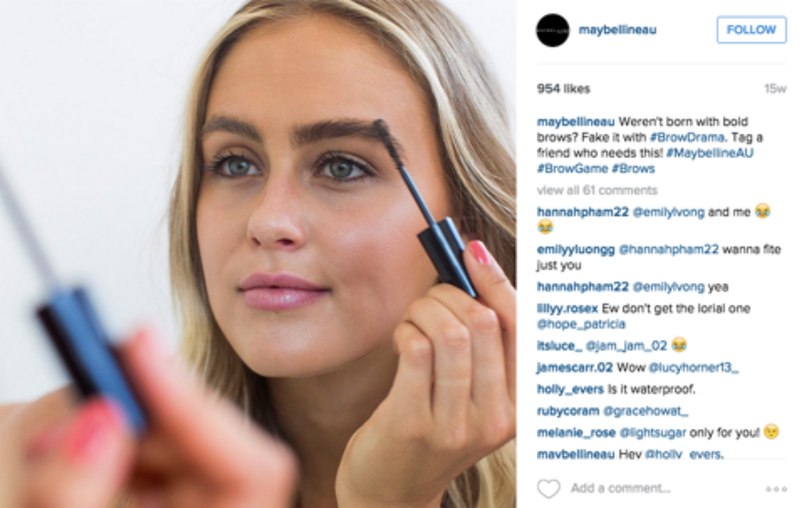 An Instagram account has a lot of useful tools for influencers such as Instagram Insights. 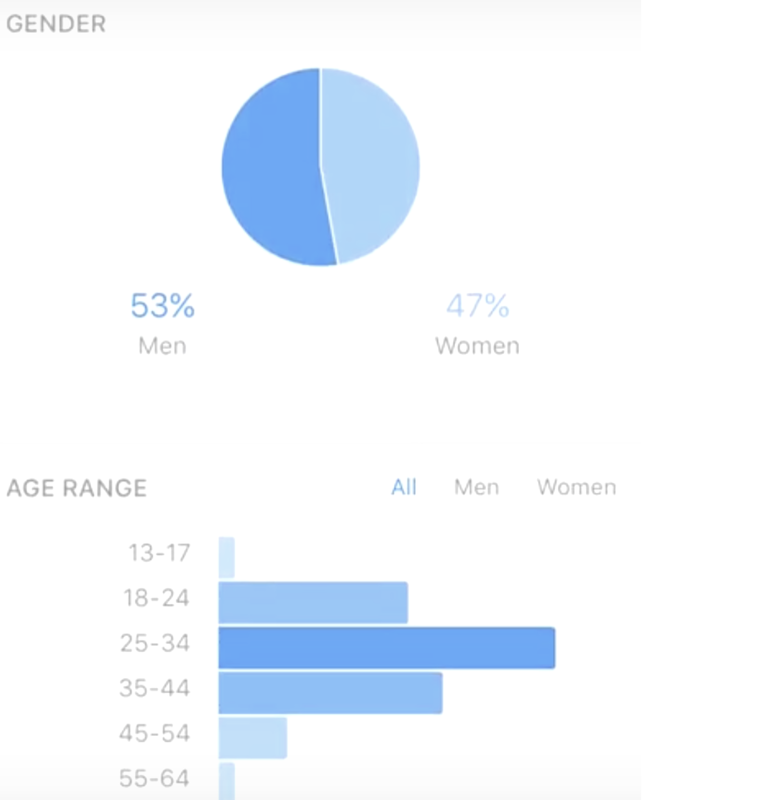 Insights lets you know the demographic data of your followers. It allows you to identify follower fluctuations, top locations, audience activity times, profile views and website clicks, based on a set time period. 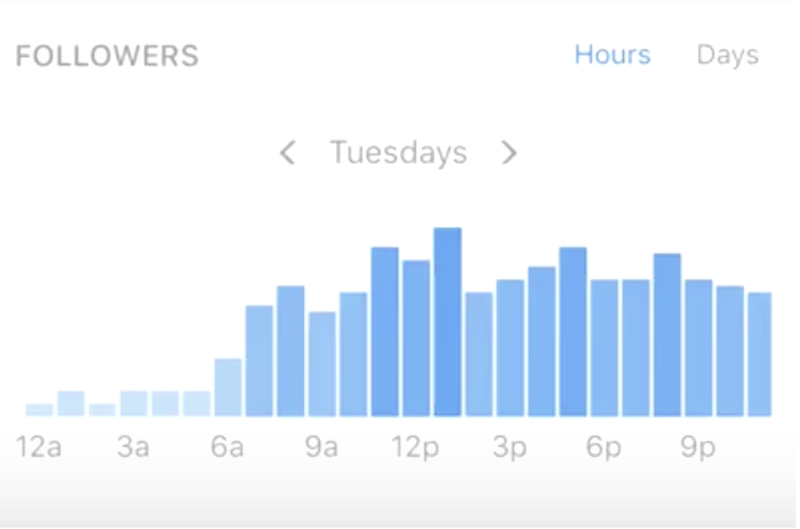 You can view Insights data for your overall account, as well as for specific posts. If you’re learning how to become an Instagram influencer, this is important. You don’t want to just post stuff randomly. You want to come up with a good strategy. What are the types of posts your followers love? What time should you post? Where are your followers located? With a personal account, you’ll never know. While you could list down the likes and shares for each post, this takes a lot of time and it isn’t productive for the long-term. However, using Instagram Insights, you can get an accurate overview of your audience and the posts they love. 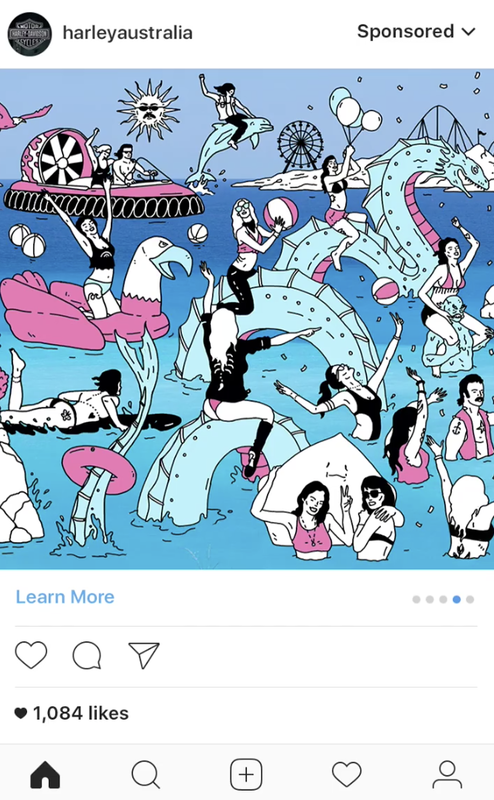 Another perk of Instagram Insights is ads. Tons of influencers are also business owners. They sell products, collaborate with brands and build their own business. So, it’s only natural that they’d want to create ads to upsell their products or service, and to get discovered by new followers. Want to create your own Instagram business account? You can view Instagram’s guide here to get started. Note that a business account is free, but you need to foot the bill for the ads. While costs money, the number of new followers you can attract are worth it! The third step in learning how to become an Instagram influencer is knowing the value of a great bio! An Instagram bio consists of 150 characters. It may be short, but it’s the elevator pitch of your entire account. It introduces your brand to followers who don’t know who you are and what you do. If you don’t have a clear and concise bio, customers probably won’t follow your brand. After all, would you trust an influencer who can’t even get their introduction right? Probably not! So, how do you write a good Instagram bio? A good tip is to ask yourself: What would I say if I were introducing myself at a networking event? Asking this question will help you determine the details you should include in your bio. Another tip is to zone in on keywords. List the relevant keywords you use to describe yourself and your brand. Once you know the obvious keywords that are relevant to your brand, you’ll be able to describe who you are and what you do. And, your followers will feel confident that they’re following the right profile. Here are some examples of bios with clear descriptions. Another thing that you should include is a link in your bio, especially if you have a website. The bio is the only place where you can place a link that followers can click. So, don’t forget it! Having just one clickable link in your profile is very limiting but you can get around this roadblock by using Sked’s link-in-bio feature. We give you a branded redirect URL to use as the link in your profile. Then, when you create a post, you can point that link towards any web page you like. You can pick a different page every time you post, and Sked will automatically send people to the right place when they click on your profile link. It’s a great way to promote different offers and promotions without ever having to change your profile link. To set it up for your account, follow the steps in this blog post. What do top influencers have in common? An awesome Instagram aesthetic. 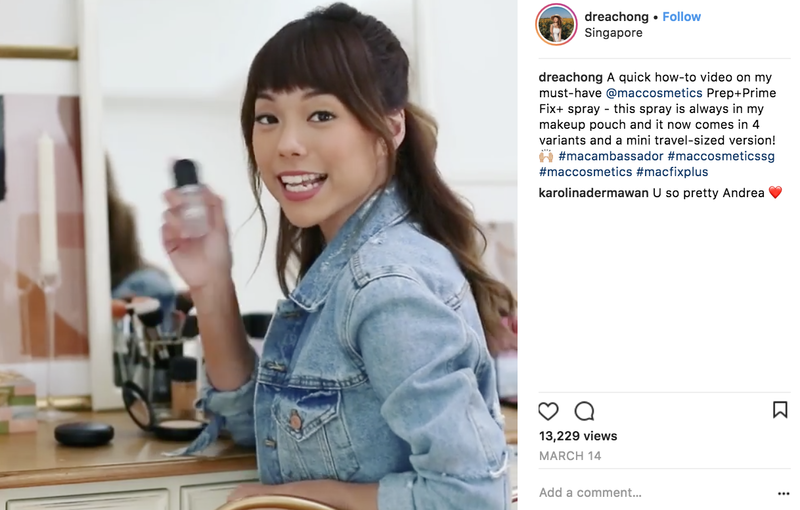 Most influencers in the fashion and beauty industry love to post OOTDs, makeup looks and tutorials. Take a look at Irene Kim—a beauty influencer’s—feed. Influencers in the food industry love to post the food they created. Artists post pictures of their art online. 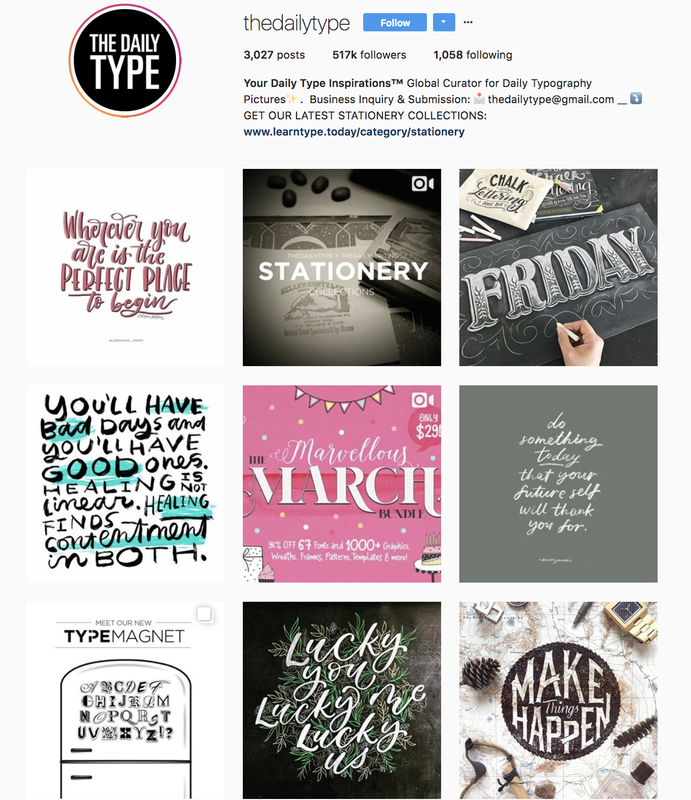 For example, the Daily Type, has amassed thousands of followers on Instagram because of his wonderful illustrations. 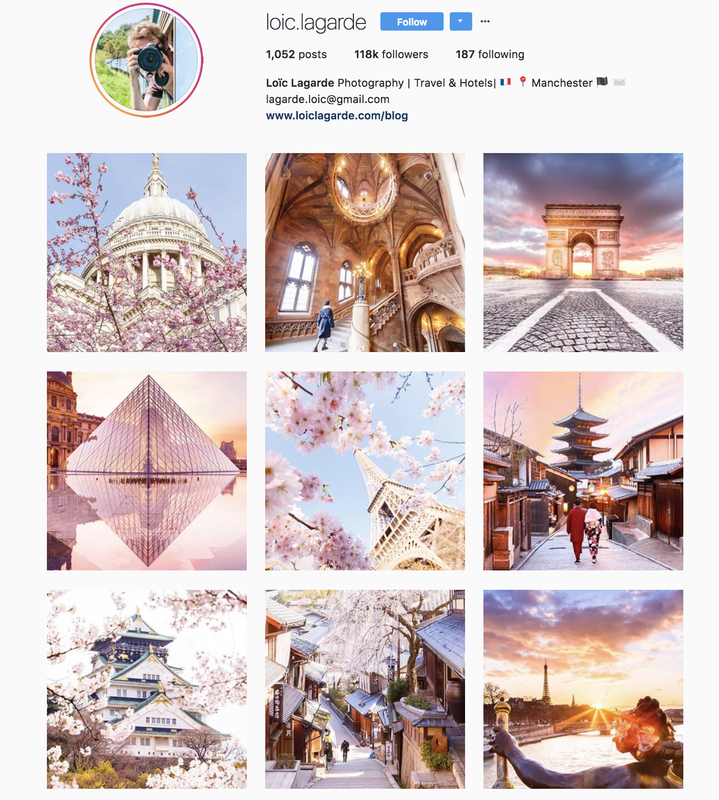 Now, how do you create a great Instagram aesthetic? You’ll need to learn how to take great photos, but you don’t need to be a photographer. Use a great camera and watch tutorials online. After that, determine the look and feel of your feed. What are the core colors of your feed? Will you use a specific filter? Most influencers stick to 1 or 2 colors, so that every posts look visually consistent. Others just choose a specific filter so their posts will have a consistent look and feel. For example, Tara Whitman’s Instagram feed has a bold and vibrant theme. 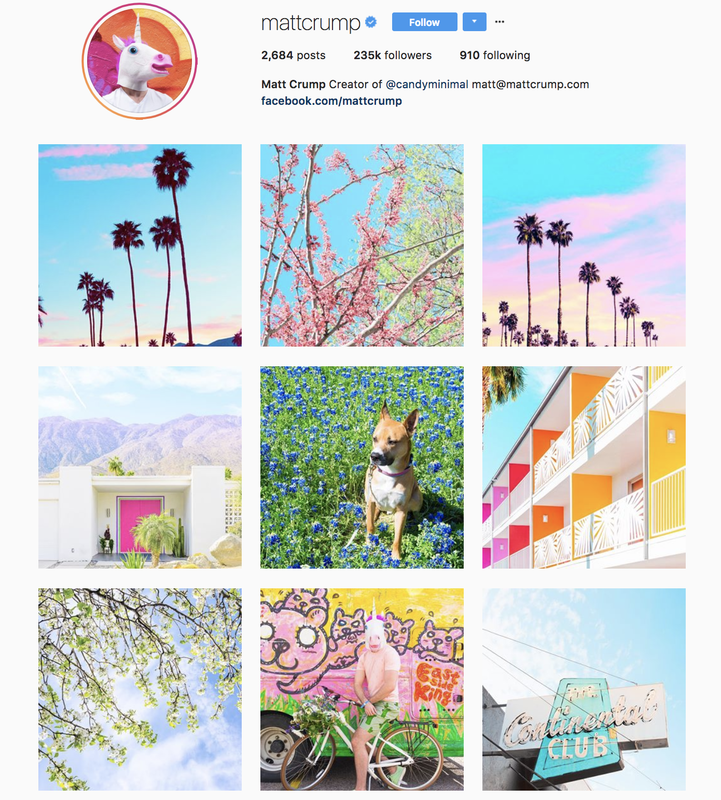 While she didn’t stick to 1 or 2 colors, the theme increases the visual appeal of her entire feed. Each of the photos equally standout, and no post feels out of place. Matt Crump’s (@mattcrump) aesthetic has been dubbed as candy-colored minimalism because of its neon-pastel themed photos. Thanks to his unique aesthetic he’s amassed 235,000 followers. Pick an aesthetic that suits your interest and personality. Do you love pastel or Pantone colors? Maybe you could incorporate them in your upcoming posts. Do you love minimalist or monochrome pictures? Maybe you could post black and white photos. If you’ve got a Sked account, you won’t need to buy expensive image editing software because the app’s photo editor gives you all the tools you need to create your own unique aesthetic. You can crop and resize your images, and add stickers, frames, text, and other effects to them. There are also 28 different filters you can apply – so you’re bound to find the perfect one for the look you’re trying to create (see below). 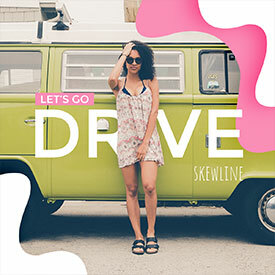 Once you’re done editing your images, it’s time to arrange them into an attractive grid pattern for Instagram posting. This is where a tool like our like visual planner really comes into its own. 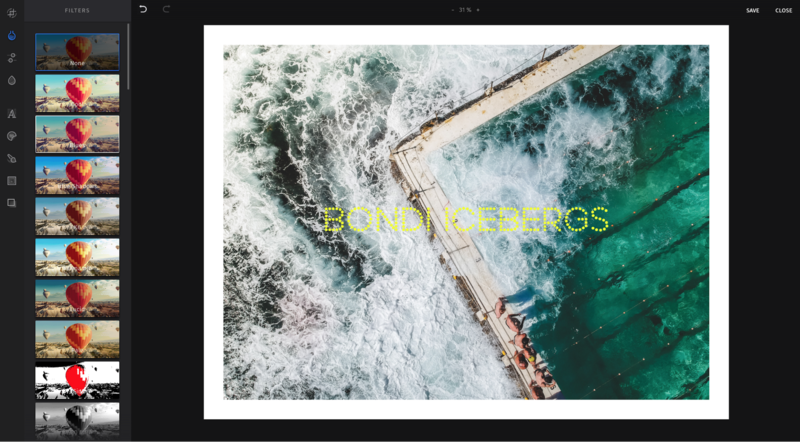 You can use it to arrange and preview exactly what your images will look like in an Instagram grid before you publish them. To try it, open your Sked account, upload some images and save them as drafts, then click on the ‘Planner’ option in the sidebar menu (see below). Next, drag your draft posts over to the planner (see image below) and arrange them into an attractive grid pattern. Once you’re happy with your grid, click on ‘Submit Changes’ and you’re all set. An aesthetic doesn’t need to look amazing or perfect. You don’t need to wait until you’re a pro photographer or a Photoshop expert either. Just do your best in every post and you’ll get better as time passes. How can you engage with your followers? You don’t just create posts with great photos. You should also add a bit of personality to your Instagram captions to make your brand seem interesting. After all, there’s nothing more off-putting than a brand with no personality. So, how do you determine your brand’s voice? Find two to four adjectives that best describe your brand. 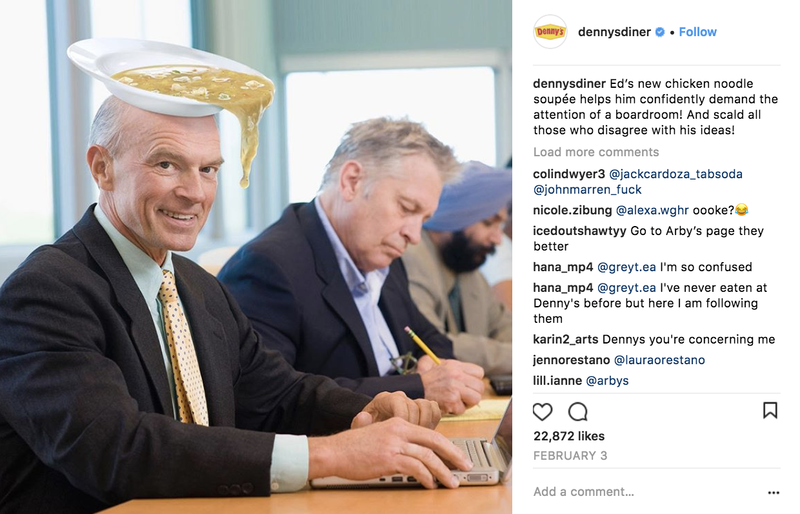 Let’s say, your brand is “witty,” “fun” and “chill.” Denny’s Diner is the brand that embodies this online persona. Thousands of millennials and teenagers follow their Instagram account because their language and tone is entertaining for them. 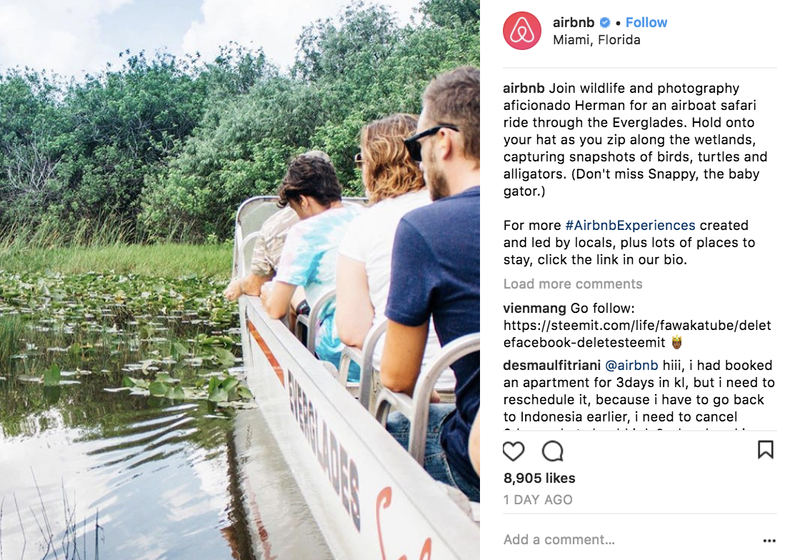 Another example is Airbnb. 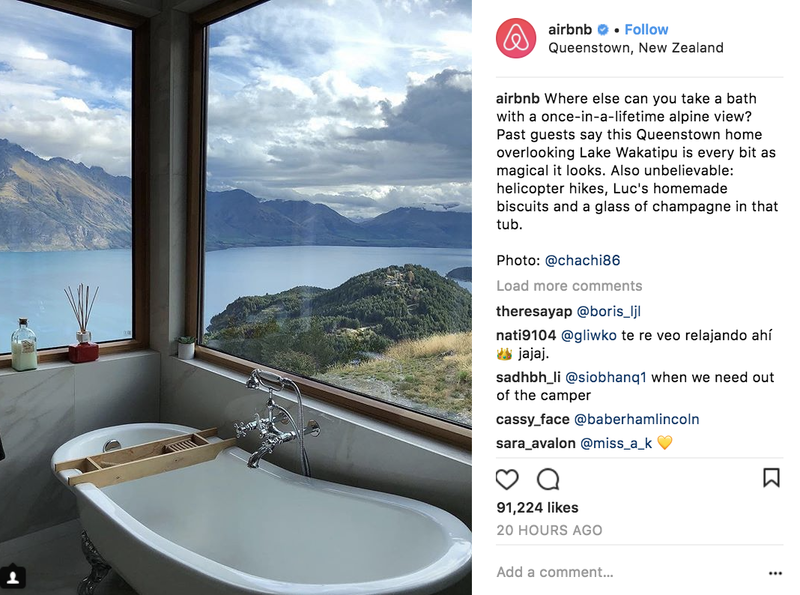 The brand posts stories about their off the beaten path destinations to tempt viewers to pack their bags and go on an adventure. 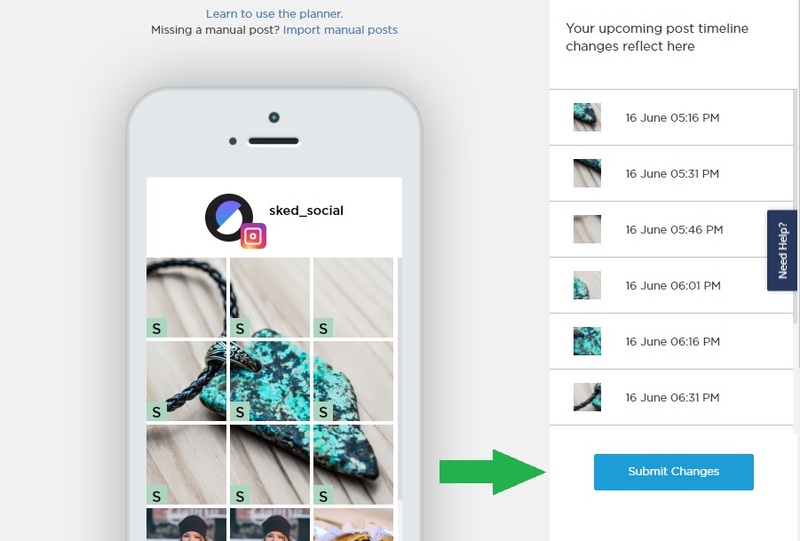 Thanks to Sked’s multi-channel posting capabilities, you can now post your photos across your Instagram, Facebook, Pinterest and soon Twitter, all in one go! The new Sked also gives the user the option to set a base caption for all posts or set a different caption for each individual channel. Hashtags are important if you want to increase your following. In fact, posts with hashtags gain 12.6% more engagement. This is because hashtags make your posts searchable for a term. For example, if you’re in the skincare niche, the #skincare can get your profile found by users who want to get skincare advice. Without it, they won’t able to search for your post, even if they scroll down all day. A post should ideally have 5 to 30 hashtags. Some experts found that 11 hashtags per post is a good amount to target. Once you include more than 30 hashtags in one post, Instagram won’t let you comment in it. So, you want to avoid placing too many hashtags. How do you find the hashtags that you should use? Type a hashtag related to your post in the search bar. 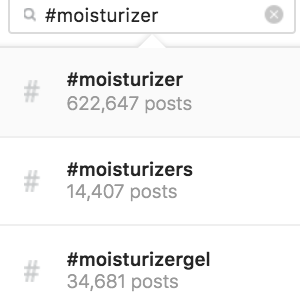 For example, if you’re posting about moisturizer, try the #moisturizer. You’ll then find suggestions on Instagram’s search bar. You can also find the right hashtags from the posts of other influencers or brands. 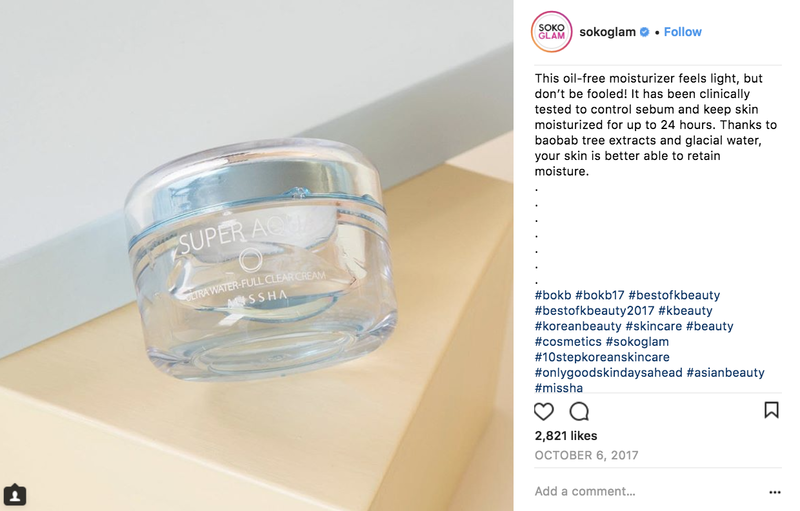 Let’s say, the brand Soko Glam promoted their new moisturizer in a post. You can use the hashtags that they’ve used in the post. Just make sure these hashtags aren’t exclusive to their brand or campaign. You can measure a hashtag’s performance via Instagram Insights. This way, you can determine which hashtags can best help you increase your reach. Need a way to keep all your hashtags organised? Our hashtag manager will save you a ton of time … and your sanity! You can use it to store all your hashtags in one place, separate them into groups, and add up to 30 of them to your posts in just a few clicks. Finding your optimal posting frequency is another important factor in learning how to become an Instagram influencer. Top brands and influencers post an average of 1.5 times per day. Popular influencers like Cameron Dallas, Tara Whitman and Andrea Chong post once or twice per day. This is because they want to frequently engage and stay relevant to their followers. This makes sense because if you only post once or twice per week, followers won’t return to your profile often. So, how often should you schedule posts on Instagram? There are a ton of studies about Instagram post frequency. While it’s best to post at least once a day, the number of times you should post, isn’t definite. However, it’s important is to maintain your post frequency. If there’s a drop in your weekly engagement, then your posts will be ranked lower on Instagram’s algorithm. Meaning that it will show on fewer user’s feeds. The good news is you can schedule posts in advance with an all-in-one social media scheduling tool like Sked. 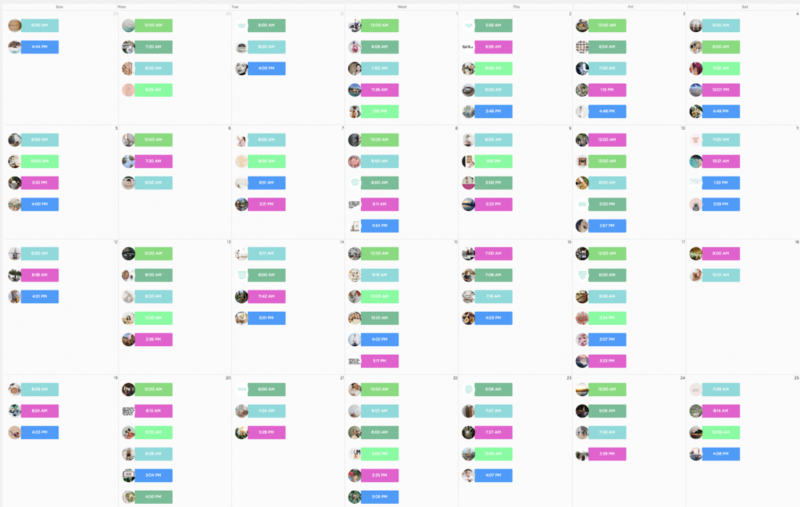 For starters, Sked has a lot of features that are great for influencers. 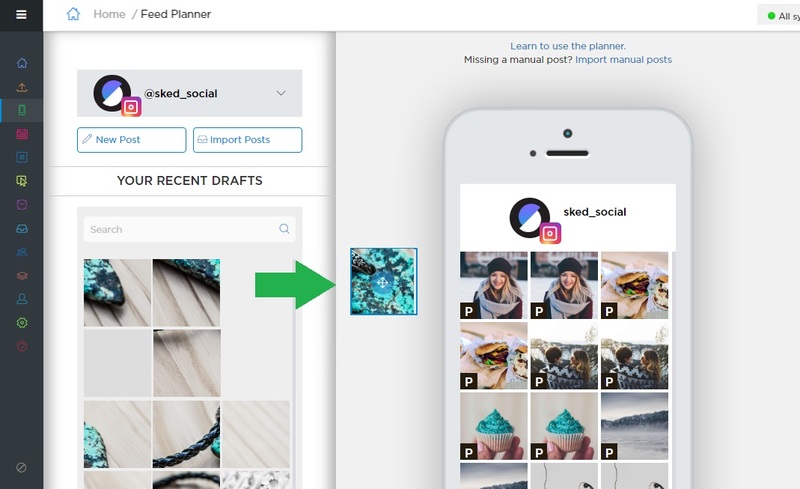 You can use it to manage multiple account and channel posts, schedule posts, and edit photos or videos across Instagram, Facebook, Pinterest, and soon Twitter. You can use it to manage multiple accounts, schedule posts, and edit photos or videos. You can also use it from your PC, or on mobile apps on iOS and Android. Once you’ve uploaded a post in our platform, you can add it to the Queue, save it as a draft, or schedule it at a specific time or date. If you click the “Time / Date” option, you can choose a specific time to publish the post. And, the post will be published at the time and date that you specified, even if you’re not online. And if you want to check what posts you’ve scheduled, you can see your entire content schedule at glance using our social media calendar (see below). You can drag-and-drop your draft posts onto the calendar, rearrange your scheduled posts, and keep track of promotional opportunities like holidays, festivals, and other events worldwide. Sked’s isn’t free, but you can try our 7-day trial to test it out for yourself. Once the trial period ends and you opt to use our service, you will choose between two payment options— $20 a month or $200 a year. It’s a small price to pay, but at least you get to post and engage with your followers often. Instagram is obviously a social platform. So, you’ll have to interact with users to amass a good following. If you’re new to Instagram, you can become an Instagram influencer by finding users who are interested in your niche. Let’s say, you’re an influencer who loves makeup tutorials. You can conduct a search using the #makeuptutorial and find potential followers in the comments section of the posts. Check out the Instagram feed of potential followers and reach out to them by commenting on their posts. What do you love about their posts? What do you say to make them feel good? How do you create a good first impression? Leave comments that can help jumpstart conversations and relationships. This is one way you can get people to click the follow button and fast-track in order to become an Instagram influencer. Don’t forget to interact with the followers you already have! If they leave a comment or ask a question in the comments section, be sure to reply! Followers love it when influencers take the time to build relationships with them. And taking the time to communicate with them is essential in order to become an Instagram influencer. After all, some of them take the time to promote your content and talk about it with their network. So, the least you can do is to talk and thank them for their support. 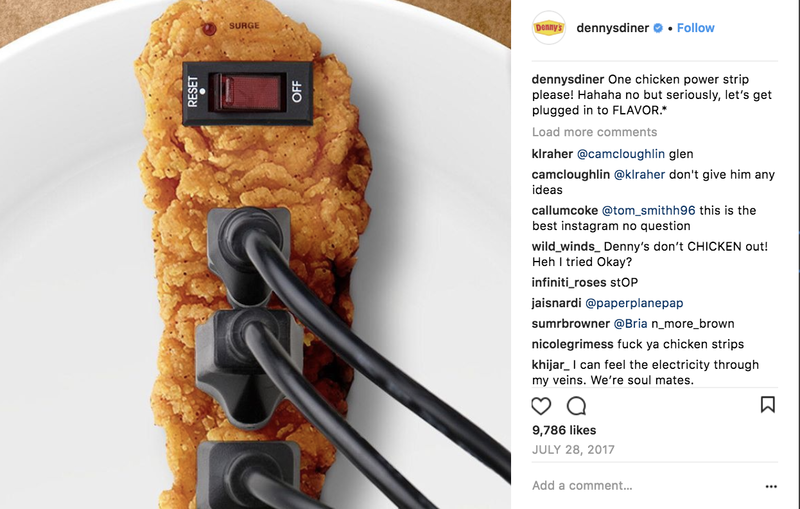 As you probably already know, you can become an Instagram influencer by working with brands you love. Once you have thousands of followers under your belt, you can start reaching out to brands. You can participate in their campaigns or use their brand-related hashtags in your posts. This puts your account under their radar. You can also send them a DM or contact them via email. Send a simple pitch to let them know how a collaboration with you could benefit them. You won’t get a reply instantly and not all brands will partner up with you, but you’ll get positive responses eventually. You can join platforms like Grin, SocialPeeks, HYPR, InfluencerBay, and TapInfluence to find and connect with brands in your niche. A good tip is to partner up with brands whose products you’ve tried and tested. For example, if you’re a skincare brand, search for brands that you already love. You don’t want to give a good review for a product that’s low quality or ineffective. After all, your followers trust you to give honest recommendations. So, if they sense that you’re lying about the product, they’ll hit the unfollow button. And, they’ll encourage other followers to do the same too. You don’t want to have a PR disaster. So, give honest reviews and get in touch with the brands you trust. Grab our ebook Instagram for Business to make sure you don’t end up on a list like this one! We know it’s bad news, but learning how to become an Instagram influencer is only half the battle. It takes time to create great photos. It’s hard to maintain an Instagram aesthetic and its difficult to post often. The good news is if you stick around and persevere, the end results are worth it. Not only will you be able to engage and influence thousands of people, but you’ll also get to work with the brands you love. Don’t forget to opt for an Instagram business account if you want to become an influencer. Instagram Insights is crucial to your success! Also, interact with your followers. Reply to their comments and build relationships. This way, you can amass a loyal following. If you want to grow your influence even further, think about joining additional social media channels. This gives you the opportunity to interact with a whole new audience! Best of all, Sked has you covered when you decide to expand to new channels. Now that you know how to become an Instagram influencer, why not start carving out hours in your social media workflow by signing up for Sked’s 7-day trial. 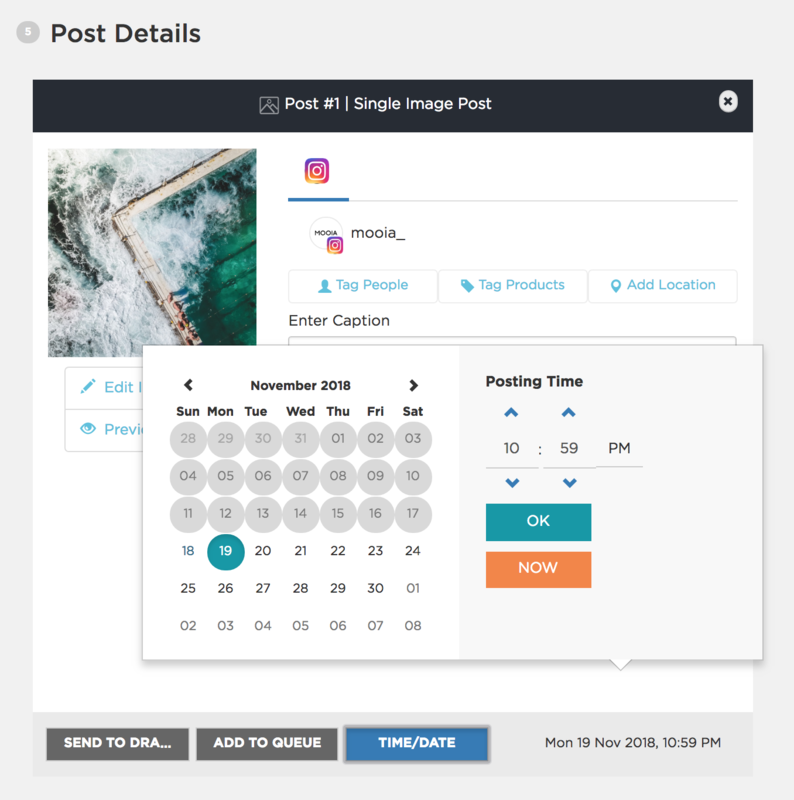 Our all-in-one Instagram scheduler allows you to automatically post images, carousels, Stories, videos and more. Tag locations, users and products and manage all your hashtags in one place to save 5+ hours every week. Ready to become an Instagram influencer? Don’t forget to use Sked to schedule your posts! We help you create a successful Instagram strategy, for as little as $20. It’s a small investment for your future success.